The 1859 publication of Charles Darwin's theory of natural selection put forward an explanation for complexity and adaptation, which reflects scientific consensus on the origins of biological diversity, and provides a counter-argument to the watchmaker analogy. Evolutionary biologist Richard Dawkins also referred to the analogy in his 1986 book The Blind Watchmaker giving his explanation of evolution. In the 19th century, deists, who championed the watchmaker analogy, held that Darwin's theory fit with "the principle of uniformitarianism—the idea that all processes in the world occur now as they have in the past" and that deistic evolution "provided an explanatory framework for understanding species variation in a mechanical universe." In the United States, starting in the 1960s, creationists revived versions of the argument to dispute the concepts of evolution and natural selection, and there was renewed interest in the watchmaker argument. They related the analogy to the "argument from design," where it was used to support arguments for the existence of God, as well as for the intelligent design of the universe. The most famous statement of this teleological argument using the watchmaker analogy was given by William Paley in his 1802 book Natural Theology or Evidences of the Existence and Attributes of the Deity. In this presentation, the watch analogy (step 1) functions not as a premise to an argument but as a rhetorical device and a preamble. Its purpose is to establish the plausibility of the general premise: you can tell, simply by looking at something, whether or not it was the product of intelligent design. In most formulations of the argument, the characteristic that indicates intelligent design is left implicit. In some formulations, the characteristic is orderliness or complexity, which is a form of order. In other cases, it is clearly being designed for a purpose. The scientific revolution "nurtured a growing awareness" that "there were universal laws of nature at work that ordered the movement of the world and its parts." James K. A. Smith and Amos Yong write that in "astronomy, the Copernican revolution regarding the heliocentrism of the solar system, Johannes Kepler's (1571–1630) three laws of planetary motion, and Isaac Newton's (1642–1727) law of universal gravitation—laws of gravitation and of motion, and notions of absolute space and time—all combined to establish the regularities of heavenly and earthly bodies." With such a backdrop, "deists suggested the watchmaker analogy: just as watches are set in motion by watchmakers, after which they operate according to their pre-established mechanisms, so also was the world begun by the God as creator, after which it and all its parts have operated according to their pre-established natural laws. With these laws perfectly in place, events have unfolded according to the prescribed plan." For Sir Isaac Newton, "the regular motion of the planets made it reasonable to believe in the continued existence of God." Newton also upheld the idea that "like a watchmaker, God was forced to intervene in the universe and tinker with the mechanism from time to time to ensure that it continued operating in good working order." Like Newton, René Descartes viewed "the cosmos as a great time machine operating according to fixed laws, a watch created and wound up by the great watchmaker." Watches and timepieces have been used as examples of complicated technology in philosophical discussions. For example, Cicero, Voltaire and René Descartes all used timepieces in arguments regarding purpose. The watchmaker analogy, as described here, was used by Bernard le Bovier de Fontenelle in 1686, but was most famously formulated by Paley. Paley used the watchmaker analogy in his book Natural Theology, or Evidences of the Existence and Attributes of the Deity collected from the Appearances of Nature, published in 1802. In it, Paley wrote that if a pocket watch is found on a heath, it is most reasonable to assume that someone dropped it and that it was made by at least one watchmaker, not by natural forces. Paley went on to argue that the complex structures of living things and the remarkable adaptations of plants and animals required an intelligent designer. He believed the natural world was the creation of God and showed the nature of the creator. According to Paley, God had carefully designed "even the most humble and insignificant organisms" and all of their minute features (such as the wings and antennae of earwigs). He believed, therefore, that God must care even more for humanity. Paley recognised that there is great suffering in nature and nature appears to be indifferent to pain. His way of reconciling that with his belief in a benevolent God was to assume that life had more pleasure than pain. As a side note, a charge of wholesale plagiarism from this book was brought against Paley in The Athenaeum for 1848, but the famous illustration of the watch was not peculiar to Nieuwentyt and had been used by many others before either Paley or Nieuwentyt. William Paley taught the works of Joseph Butler and appears to have built on Butler's 1736 design arguments of inferring a designer from evidence of design. Butler noted: "As the manifold Appearances of Design and of final Causes, in the Constitution of the World, prove it to be the Work of an intelligent Mind ... The appearances of Design and of final Causes in the constitution of nature as really prove this acting agent to be an intelligent Designer... ten thousand Instances of Design, cannot but prove a Designer.". His first objection is that we have no experience of world-making. Hume highlighted the fact that everything we claim to know the cause of, we have derived the inductions from previous experiences of similar objects being created or seen the object itself being created ourselves. For example, with a watch, we know it has to be created by a watch-maker because we can observe it being made and compare it to the making of other similar watches or objects to deduce they have alike causes in their creation. However, he argues that we have no experience of the universe's creation or any other universe's creations to compare our own universe to and never will; therefore, it would be illogical to infer that our universe has been created by an intelligent designer in the same way that a watch has. The second criticism that Hume offers is about the form of the argument as an analogy in itself. An analogical argument claims that because object X (a watch) is like object Y (the universe) in one respect, both are therefore probably alike in another, hidden, respect (their cause, having to be created by an intelligent designer). He points out that for an argument from analogy to be successful, the two things that are being compared have to have an adequate number of similarities that are relevant to the respect that are analogised. For example, a kitten and a lion may be very similar in many respects, but just because a lion makes a "roar", it would not be correct to infer a kitten also "roars": the similarities between the two objects being not similar enough and the degree of relevance to what sound they make being not relevant enough. Hume then argues that the universe and a watch also do not have enough relevant or close similarities to infer that they were both created the same way. For example, the universe is made of organic natural material, but the watch is made of artificial mechanic materials. He claims that in the same respect, the universe could be argued to be more analogous to something more organic such as a vegetable (in which we can observe for ourselves does not need a 'designer' or a 'watchmaker' to be created). Although he admits the analogy of a universe to a vegetable to seem ridiculous, he says that it is just as ridiculous to analogize the universe with a watch. The third criticism that Hume offers is that even if the argument did give evidence for a designer; it still gives no evidence for the traditional 'omnipotent', 'benevolent' (all-powerful and all-loving) God of traditional Christian theism. One of the main assumptions of Paley's argument is that 'like effects have like causes'; or that machines (like the watch) and the universe have similar features of design and so both also have the same cause of their existence: they must both have an intelligent designer. However, Hume points out that what Paley does not comprehend is to what extent 'like causes' extend: how similar the creation of a universe is to the creation of a watch. Instead, Paley moves straight to the conclusion that this designer of the universe is the 'God' he believes in of traditional Christianity. Hume, however takes the idea of 'like causes' and points out some potential absurdities in how far the 'likeness' of these causes could extend to if the argument were taken further as to explain this. One example that he uses is how a machine or a watch is usually designed by a whole team of people rather than just one person. Surely, if we are analogizing the two in this way, it would point to there being a group of gods who created the universe, not just a single being. Another example he uses is that complex machines are usually the result of many years of trial and error with every new machine being an improved version of the last. Also by analogy of the two, would that not hint that the universe could also have been just one of many of God's 'trials' and that there are much better universes out there? However, if that were taken to be true, surely the 'creator' of it all would not be 'all loving' and 'all powerful' if they had to carry out the process of 'trial and error' when creating the universe? Hume also points out there is still a possibility that the universe could have been created by random chance but still show evidence of design as the universe is eternal and would have an infinite amount of time to be able to form a universe so complex and ordered as our own. He called that the 'Epicurean hypothesis'. It argued that when the universe was first created, the universe was random and chaotic, but if the universe is eternal, over an unlimited period of time, natural forces could have naturally 'evolved' by random particles coming together over time into the incredibly ordered system we can observe today without the need of an intelligent designer as an explanation. The last objection that he makes draws on the widely discussed problem of evil. He argues that all the daily unnecessary suffering that goes on everywhere within the world is yet another factor that pulls away from the idea that God is an 'omnipotent' 'benevolent' being. Charles Darwin's theory provided another explanation. When Darwin completed his studies of theology at Christ's College, Cambridge in 1831, he read Paley's Natural Theology and believed that the work gave rational proof of the existence of God. That was because living beings showed complexity and were exquisitely fitted to their places in a happy world. — Charles Darwin, The Autobiography of Charles Darwin 1809–1882. With the original omissions restored. By the time that Darwin published his theory, theologians of liberal Christianity were already supporting such ideas, and by the late 19th century, their modernist approach was predominant in theology. 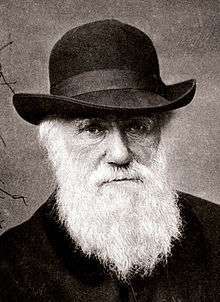 In science, evolution theory incorporating Darwin's natural selection became completely accepted. 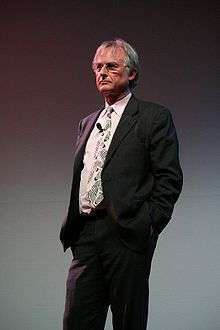 In The Blind Watchmaker, Richard Dawkins argues that the watch analogy conflates the difference between the complexity that arises from living organisms that are able to reproduce themselves (and may cause to become more complex over time) and the complexity of inanimate objects, unable to pass on any reproductive changes (such as the multitude of parts manufactured in a watch). The comparison breaks down because of the important distinction. In a BBC Horizon episode, also entitled The Blind Watchmaker, Dawkins described Paley's argument as being "as mistaken as it is elegant". In both contexts, he saw Paley as having made an incorrect proposal as to a certain problem's solution, but Dawkins did not disrespect him. In his essay The Big Bang, Steven Pinker discusses Dawkins's coverage of Paley's argument, adding: "Biologists today do not disagree with Paley's laying out of the problem. They disagree only with his solution." In his book The God Delusion, Dawkins argues that life was the result of complex biological processes. He makes the argument that the comparison to the lucky construction of a watch is fallacious because proponents of evolution do not consider evolution "lucky". Rather than luck, the evolution of human life is the result of billions of years of natural selection. He concludes that evolution is a fair contestant to replace God in the role of watchmaker. In addition, he argues that the watchmaker's creation of the watch implies that the watchmaker must be more complex than the watch. Design is top-down, someone or something more complex designs something less complex. To follow the line upwards demands that the watch was designed by a (necessarily more complex) watchmaker, the watchmaker must have been created by a more complex being than himself. So the question becomes who designed the designer? Dawkins argues that (a) this line continues ad infinitum, and (b) it does not explain anything. In response to such claims, Nathan Schneider writes, "Paley died decades before The Origin of Species was published, and ever since his views have been so repeatedly set in opposition to Darwin's that Richard Dawkins titled one of his books on evolution The Blind Watchmaker. A closer look at Paley's own thinking reveals, however, a God who works through the laws of nature, not beyond them like the modern ID theorists' designer. Paley had no objection to species changing over time. It's only in today's highly polarized culture-war climate that we don't bother to notice that one of the forefathers of intelligent design theory might have been perfectly comfortable with evolution." Criticisms have found fault in the watch, or the alternative 'eye', analogy. Anthropologists Peter Richerson and Robert Boyd argue that a human could not make a watch alone and so a watch does not have a designer. In Plato and a Platypus Walk Into a Bar, a book which attempts to explain philosophy through jokes, Thomas Wilson Cathcart and Daniel Martin Klein argue against the analogy. In the early 20th century, the modernist theology of higher criticism was contested in the United States by Biblical literalists, who campaigned successfully against the teaching of evolution and began calling themselves creationists in the 1920s. When teaching of evolution was reintroduced into public schools in the 1960s, they adopted what they called creation science that had a central concept of design in similar terms to Paley's argument. That idea was then relabeled intelligent design, which presents the same analogy as an argument against evolution by natural selection without explicitly stating that the "intelligent designer" was God. The argument from the complexity of biological organisms was now presented as the irreducible complexity argument, the most notable proponent of which was Michael Behe, and, leveraging off the verbiage of information theory, the specified complexity argument, the most notable proponent of which was William Dembski. The watchmaker analogy was referenced in the 2005 Kitzmiller v. Dover Area School District trial. Throughout the trial, Paley was mentioned several times. The defense's expert witness John Haught noted that both Intelligent Design and the watchmaker analogy are "reformulations" of the same theological argument. On day 21 of the trial, Mr. Harvey walked Dr. Minnich through a modernized version of Paley's argument, substituting a cell phone for the watch. In his ruling, the judge stated that the use of the argument from design by intelligent design proponents "is merely a restatement of the Reverend William Paley's argument applied at the cell level" and that the argument from design is subjective. 1 2 Smith, James K. A. (2010). Science and the Spirit. Indiana University Press. p. 54. ISBN 0-253-00466-7. ↑ Garrett, Brian (2007). What is this thing called Metaphysics?. Taylor & Francis. p. 12. ISBN 0-203-96844-1. ↑ Dugin, Alexander (2012). The Fourth Political Theory. Arktos. p. 87. ISBN 1-907166-56-4. ↑ McMahan, David L. (2008). The Making of Buddhist Modernism. Oxford University Press. p. 79. ISBN 0-19-988478-1. ↑ Durant, Will; Durant, Ariel (1935). Will and Ariel Durant, the age of Louis XIV (1963). Simon and Schuster. ↑ Joseph Butler. The Analogy of Religion, Natural and Revealed, to the Constitution and Course of Nature, 3rd Ed. London, MDCCXL (1740) pp 65, 158, 424. John and Paul Knapton. ↑ Hume, David (1948). "Part II". Dialogues Concerning Natural Religion (with introduction by Norman Kemp Smith ed.). Social Sciences Publishers. ↑ Hume, David (1948). "Part V". Dialogues Concerning Natural Religion (with introduction by Norman Kemp Smith ed.). Social Sciences Publishers. ↑ Darwin, C. R. 1859. On the Origin of Species. London: John Murray, p. ii. ↑ Nagasawa, Yujin (2011). The Existence of God: A Philosophical Introduction. Taylor & Francis. p. 93. ISBN 1-136-73746-4. ↑ Richard Dawkins (1986). The Blind Watchmaker: Why the Evidence of Evolution Reveals a Universe Without Design. W. W. Norton & Company. pp. 43–76. ISBN 978-0-393-31570-7. Retrieved 15 September 2012. ↑ Scott EC, Matzke NJ (May 2007). "Biological design in science classrooms". Proc. Natl. Acad. Sci. U.S.A. 104 (suppl. 1): 8669–76. Bibcode:2007PNAS..104.8669S. doi:10.1073/pnas.0701505104. PMC 1876445 . PMID 17494747. Paley, William (1802). Natural Theology, Or, Evidences of the Existence and Attributes of the Deity. Collected from the Appearances of Nature. Philadelphia: John Morgan. Richerson, Peter J.; Boyd, Robert (2005). Not by Genes Alone: How Culture Transformed Human Evolution. University of Chicago Press. ISBN 0-226-71284-2. The Autobiography of Charles Darwin, revised version published in 1958 by Darwin's granddaughter Nora Barlow. Recapitulation and Conclusion", By Charles Darwin.